Yes, I know I have been absent from posting for an entire week. Its all Google's fault. They have decided to create a brand spanking new photo editor and taken off Text and Resizing from their tools. So thanks to Google, my beloved blog is suffering. I guess I will just have to ditch Google and find something useful. Sorry for my venting. I needed to get this out there. 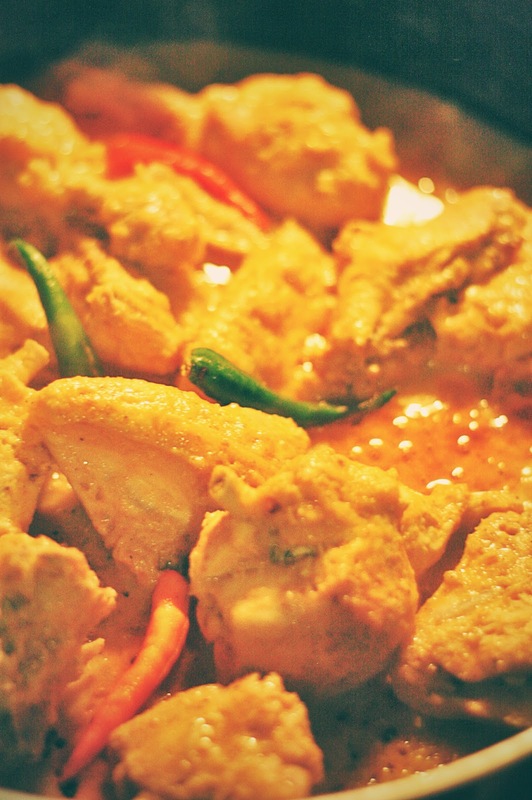 So a "korma" is chicken curry with a mild sweet tangy flavor that melts in your mouth. There are many many ways to cook a korma. But this particular dish is a one pot recipe which means it is going to be absolutely effortless! 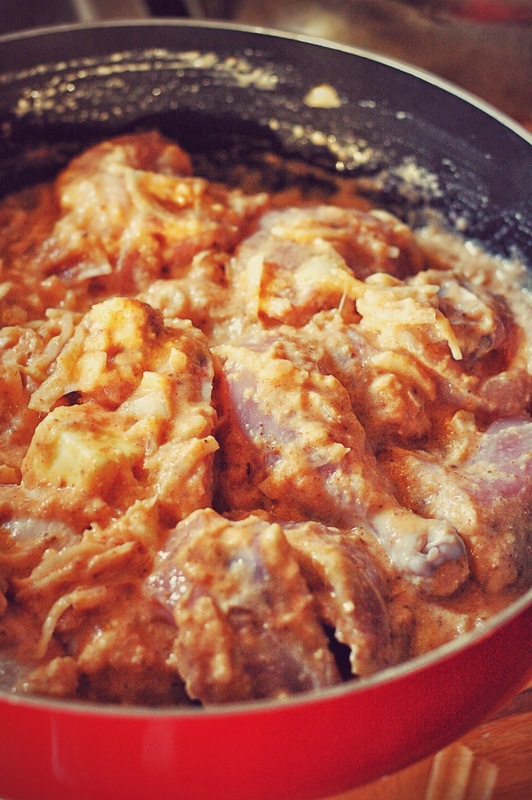 Take all the ingredients minus the chicken and mix them well together in a flat bottomed pan. Take one piece of chicken at a time and mix well with the spice mixture. Now set it on the stove at medium low heat. And cover it once the pan gets hot. The chicken will start cooking and it will let out water. The water will help it to cook. No need to add any extra water. Cook some more after the water dries up stirring it often. The oil will rise and the chicken will acquire a reddish golden hue. Taste and adjust seasoning. Before taking it off the stove add some fresh slit green chilies. Bon appetit! Do we need to marinate the chicken? If so, how can I marinate it overnight? Do not add the salt or the sugar to the marinade because this will release liquid. Thank you. Let me know how it works out!